EBSC has been Amazing since we launched in June 2014! writing, networkers in daily action, coaches speaking their truth with clarity! 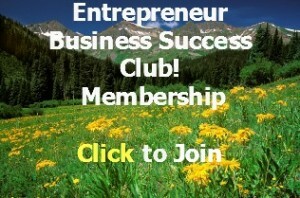 business structure, website flow, accountability, creativity and more!! or experience your full greatness, joy and of course income? The Colorado Adventure Mastermind Live Event – Spring 2015 ! We launched in June with a sizzling summer special! from the Summer Launch of $327. My private entrepreneur coaching clients pay $250 per hour. a whole host of business building goodies, for only $327/month, as a blog fan! What’s the big deal about the Launch Group, you are probably asking….?? Launch Group gets a few sly bonuses on top of all the Club Goodies!! As always, Call with questions! entrepreneurial venture to new heights! This sounds like a pretty sweet deal Deborah! Private groups are so great for supporting each other and sharing ideas. I never fail to be amazed at the new ideas that some people come up with in groups. Some of them are so obvious once someone suggest it! Wishing you great success with your group and filling those last few spots! Thanks Tracey! And I so agree about the power of groups. It’s one of the big reasons I structured this one as a hybrid with a masterminding component. The energy of the many is more than just the sum!